The world’s economy is progressing towards the digitisation, robotisation, and automation of business processes.. This movement is more profound in India and the current spate of layoffs is testimony to this fact. Today, concepts like Artificial Intelligence, robotics, and big data, are less esoteric jargon and more a reality. Infact, knowledge of these areas will drive the future growth of the business world. While it is a good sign that our country is developing and is moving towards automation at a quick pace, it is also affecting the jobs of many employees in the country. With lack of the requisite skills to assist growth in the organisation and combat the rise of automation, a large number of employees have been given the pink slip. 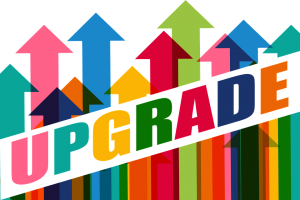 At such a time, upgradation of skills is becoming mandatory, in order for an employee to remain an asset to and grow in the organization. Having realised the dire need to impart these skills to enable this growth, educational institutes are offering a number of executive courses, to help an individual develop their specialised skills. With courses held during the weekends, it allows for an ease of learning, while not hampering a learner’s professional life. 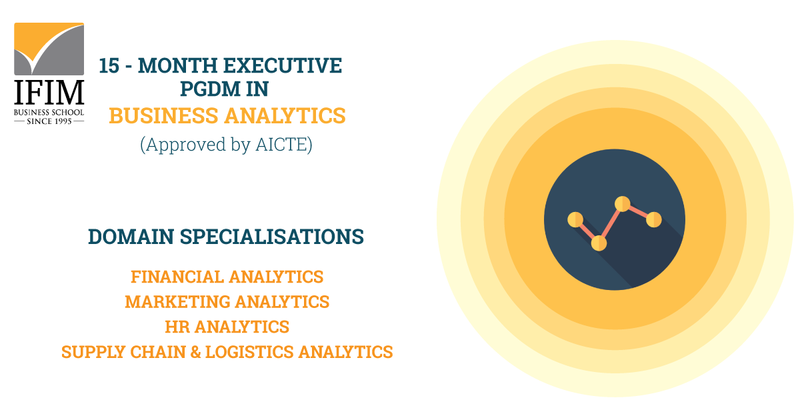 IFIM’s PGDM in Business Analytics is a 15-month course, which is specifically designed keeping in mind the paramount importance that Analytics holds for any organization, today and in the future. This course instills in a learner the use of analytical tools and techniques in various business scenarios. With access to tools such as RStudio, Hadoop, SPSS, among others, this course helps develop abilities which are needed to automation and digitisation. take up the challenge posed by the movement towards automation and digitisation. The faculty, made up of stellar industry experts, whose teachings help students identify and solve business problems in real time. Being approved by AICTE, this course has the necessary accreditation to allow students to pursue higher education. 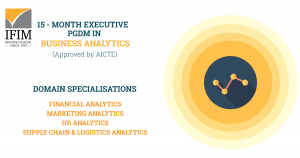 MARKETING ANALYTICS – THE FUTURE What Is Healthcare Management?